Remember the movie Field of Dreams? So eventually he built a baseball field and “they” came. Lots of them. Well, the same applies to cashflow. If you build, own and control your systems inside real estate transactions, cashflow will come. If you’re a wholesaler or a fix-n-flipper, you get chunks of income with each transaction. But you have to keep doing deals again and again and again. You are not controlling systems really. You aren’t arranging to have cashflow come in consistently. If you build, own and control your systems inside real estate transactions, cashflow will come. 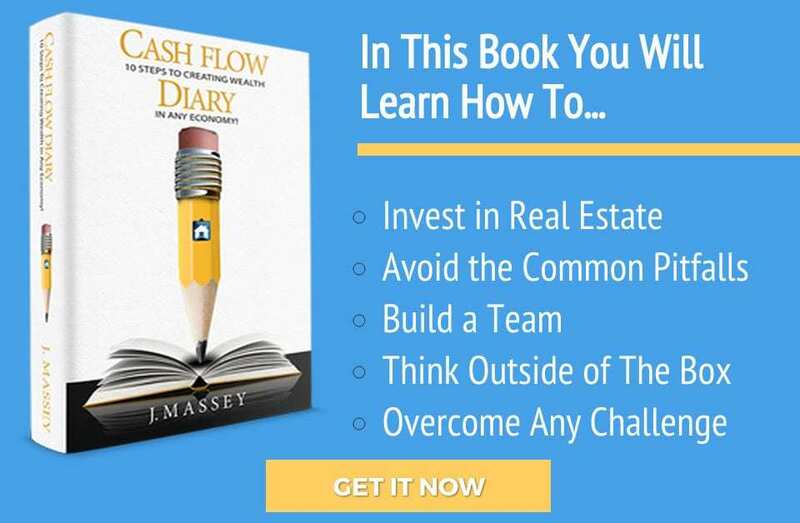 Click To Tweet Yes, as a wholesaler or fix-n-flipper you are earning a good income, but it’s not really “cashflow” and your income is only as steady as you make it. I know, because that’s how I started out, too. As such I earned a really good income. But then I realized I wanted more… or rather less. I wanted to pay less in taxes, cuz I was getting taxed on the money I earned in wholesaling and fix-n-flipping. Since I earned six figures in my first year alone I had to figure something out fast or give Uncle Sam a big chunk of change that I didn’t have to. So I ramped up my education and my game in real estate investing. I become a business owner inside real estate investing and started doing bigger deals… those that gave me tax benefits because I was creating clean, safe, affordable housing for people. Plus, I was creating jobs. I learned to solve problems inside my deals. That’s what entrepreneurs do! Entrepreneurs who are real estate investors solve problems inside their real estate transactions. Business owners in that space solve problems and create systems that keep cashflow coming in month after month. Entrepreneurs who are real estate investors solve problems inside their real estate transactions. Click To Tweet What’s really cool about all of this is that you can invest in real estate – whether that means single-family homes, multi-family properties, apartment buildings or commercial – with zero of your own cash or credit!! That’s what I learned to do… and you can, too. 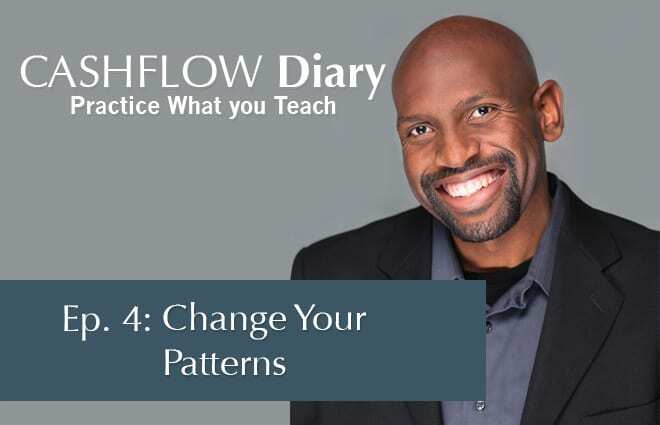 If you want a bit of inspiration, listen to one of my very first episodes of my Cash Flow Diary podcast about changing your mindset to accept wealth and success. You’ll get a chuckle, but there’s some great information that I share in it and all my episodes. Long story short, after a time as a wholesaler and fix-n-flipper I moved into investing in small apartment buildings and then larger buildings. After that I moved into doing commercial deals. My very first buy-and-hold deal was a property in San Bernardino. I didn’t have to do much to it, but knew I didn’t want to stay in the SFR space, so I eventually headed into Memphis. I took what I had learned in fixing-n-flipping to apply it to rehabbing “Walmart” properties in Memphis and invested in a few apartment buildings there. I learned a lot, got through a whole bunch of challenges, made friends with city heads and kept going. If you want to read about that part of my journey (so you’ll know that you CAN get through your personal and professional struggles and still make it just fine), read my book. 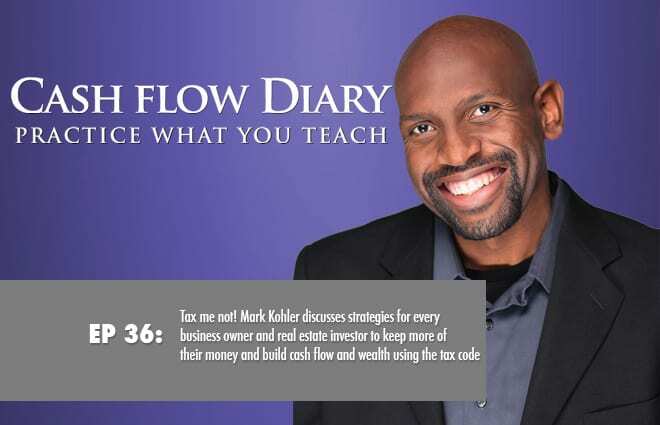 What I learned once I embraced the idea of the importance of investing in rental properties was that the more units of production (cashflowing rental properties – single-family houses, apartments and/or commercial) you have the better the cashflow… and the more depreciable items you can take come tax time! That’s why I like apartment buildings and participating with other people in larger commercial deals!! Think you can’t do what I do? Like I said at the beginning of this article, it just takes systems. You won’t start out with them, but you can build them over time… a lot less time than you think! Of course, you will need to grow your team, too. You may start out alone as a wholesaler in the single-family homes market, but you will grow your skills and start doing other things. To succeed, align yourself with likeminded individuals. Click To Tweet You will find your market, learn who you are as an investor (we call it your “Investor Identity”) and you will learn how to raise private capital so you can do bigger deals and branch out in your market. What’s great about this entrepreneurial path is that you can get to your goals pretty fast. It just takes the right education, which doesn’t have to cost an arm and a leg. You need to align yourself with likeminded individuals. You need to keep yourself inspired by listening to entrepreneurial podcasts. You need to take action steps. Success comes at a price, but it’s not really monetary; it’s your time. It’s the time you spend learning new things and putting what you learn to use immediately. A great way to start is by downloading my e-book. At any rate, come back next week and we will talk about the systems required for your real estate success.